Haha! Right on man. Welcome aboard. 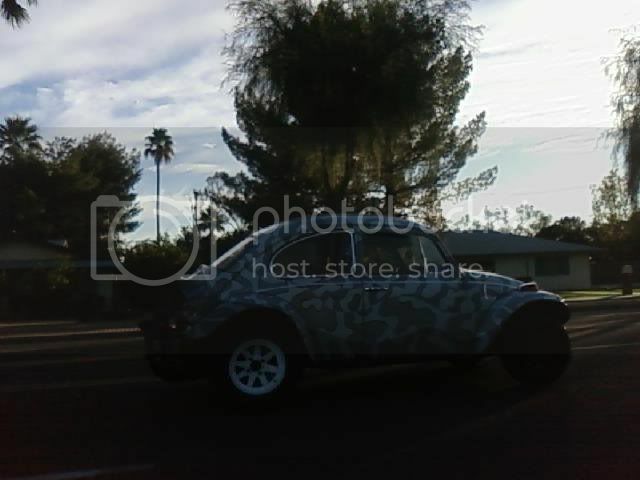 i've seen this baja around gilbert a few times, finally managed to snap a picture after following him out of the walmart on Baseline/ Greenfield, he headed East on baseline and i followed him all the way to higly before turning around. you were going the other way, didn't feel like turning around. Gotcha. Man I love your bug. The lines on the hood in the first picture just looked way more dramatic. The light on top really sets it off. Cool paint scheme! I love it! I'll have to go in and say hey to them some time. Prolly will ride mine over now that it's done. So if your out there, let me know. Maybe we can start a NoVa chapter/club. Just saw an oxidized light blue baja southbound on Power Road this morning on my way to work. Pulled in to McD's by the Sup Springs mall. Didn't get a pic. Didn't look like too bad of a car- good ground clearance.